It’s the summer holidays which means trying to work out how to entertain the children day in and day out. Don’t get me wrong, I’m not a slave to their whims and giving them the twenty- four seven entertainment treatment, but I love doing things with them and taking them places. 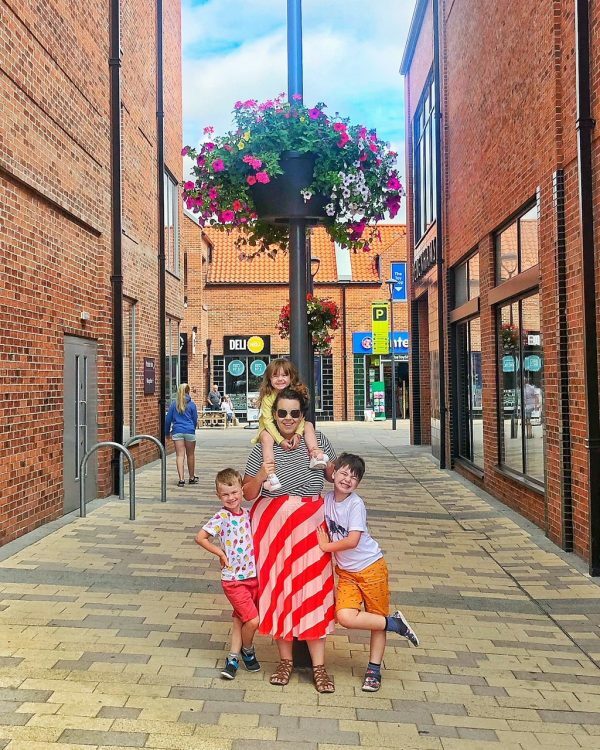 As much as I moan about living in the north, there are so many hidden treasures up here, from the Yorkshire Moors and Dales where we can explore for free, to little market towns that are just great for their little boutique shops and quaint features. One of my favourites, and the one I want to tell you about today is Beverley. 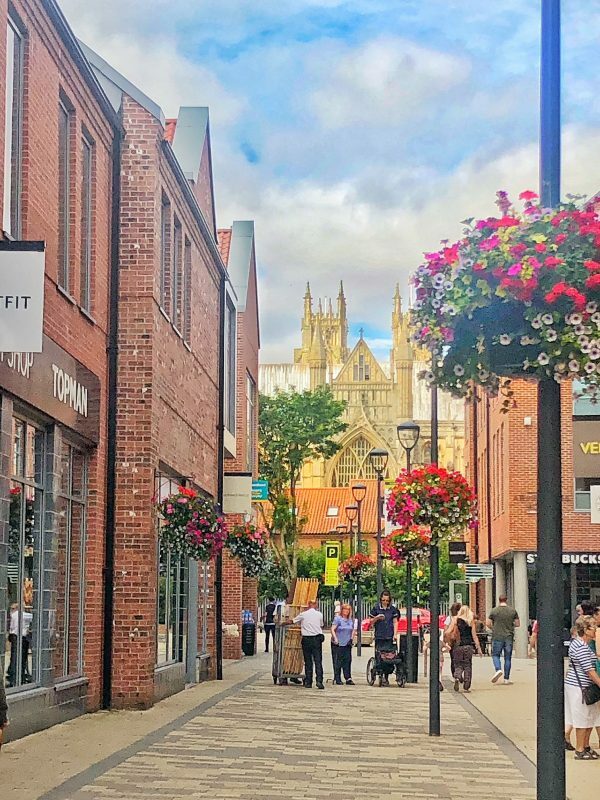 Beverley is a beautiful little market town, situated just outside Hull which was the City of Culture 2017 and has made vast improvements to the city centre with shops galore, pretty features in the centre and even walks that you can follow around. If you’re looking for a big shop I would recommend St Stephens for sure! Adam lived in Beverley when he was around 12 and we took a little look at his old home, where he had his first pint with his dad and the station he used to go to every week for transport to football! We took a little trip over (it’s only about an hour from home, if that) on the last day of term to go to the Parkway cinema in the town centre and watch The Incredibles 2 (which the kids loved), stay over-night with Premier Inn and explore the following morning. 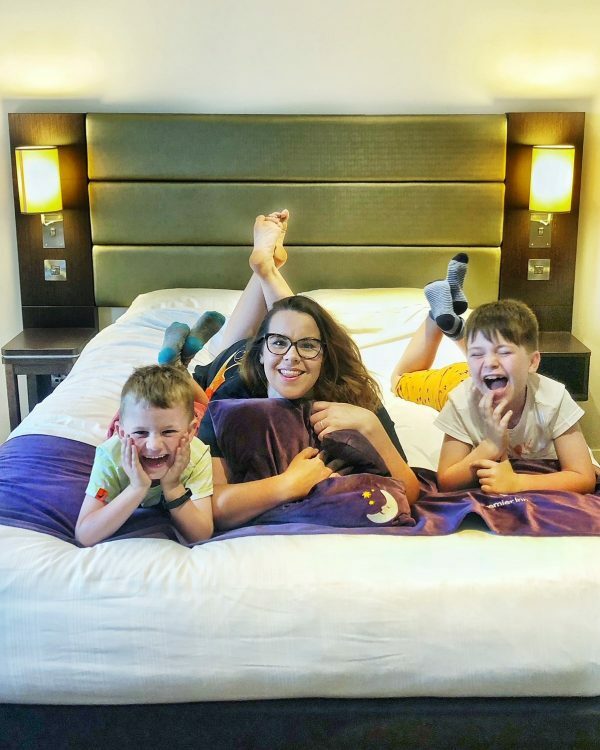 Premier Inn are one of my go-to places for overnight stays as a family of 5. It’s so difficult to find hotels that support a larger family and whilst Edith is still little she can sleep in a cot next to our bed, and as she gets older we will be able to request adjoining rooms. Premier Inn offers great value for families I’ve just booked Stoke for later on in the summer hols for a trip that we are taking down to Cornwall. We’re visiting Alton Towers so it’s ideal to stop over in Stoke and then carry on down! Premier Inn makes that both possible financially and comfortable with everything we need. You can check out the hotel that we stayed at here. One of the things I like the most about booking with Premier inn is that they have a children’s menu for dinner which the kids lap up and it means we save a few pennies not going out for an expensive meal AND they can get straight to bed ready for the next day. 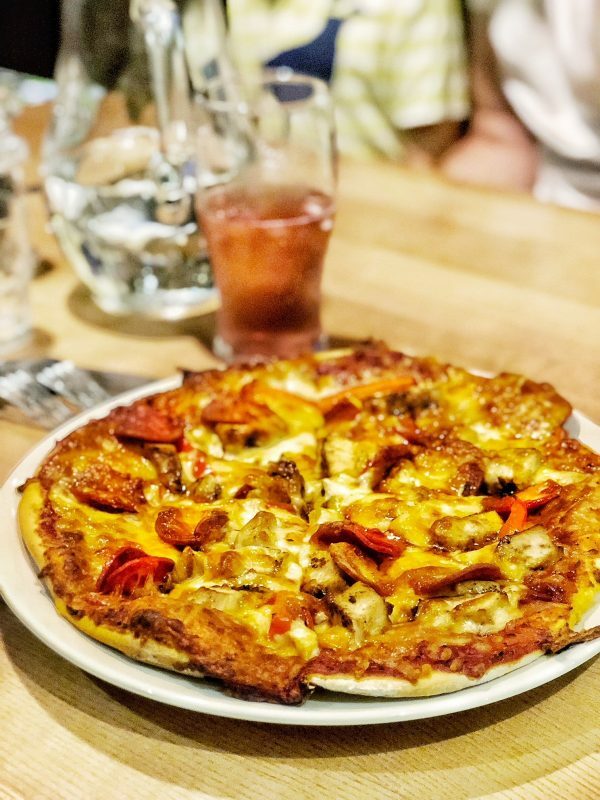 If dinner plans have already been made – which is frequently the case for us – then we (I, it’s always me that is thinking about food) can’t wait for breakfast. It’s fuss free. Having been in MANY hotels over the last few years with a picky toddler and four people who have very different preferences (Adam and I are usually happy with full English, but Reuben wants cereal and perhaps some bacon and sausage and Toby is Mr Continental) Premier Inn seem to have everything, so all of the kids are happy, we’re happy and I’ve never actually had a bad breakfast at a Premier Inn. Once we’d had a rather tasty breakfast, we headed out to explore the town centre, the range of shops is fab, from the Fleminate centre to the actual town centre itself. 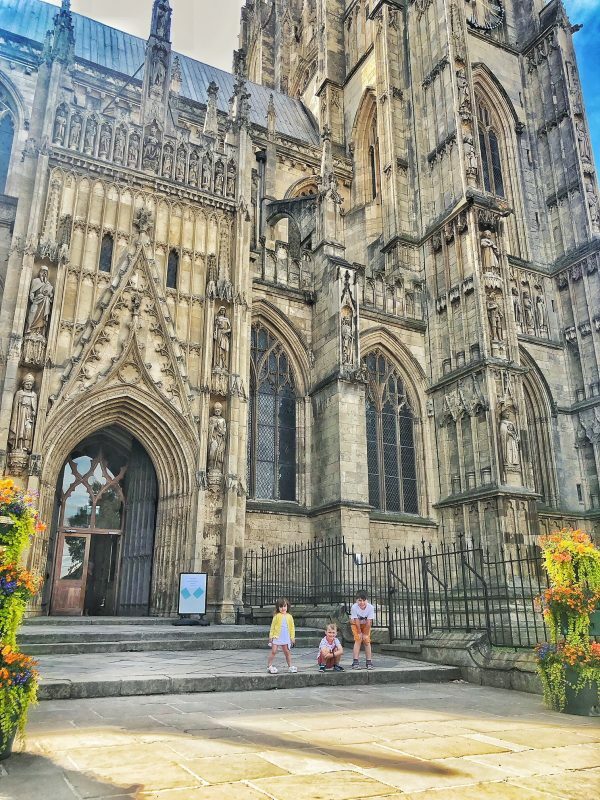 The most famous part of Beverley is the Minster, which is just beautiful and well worth having a look at. 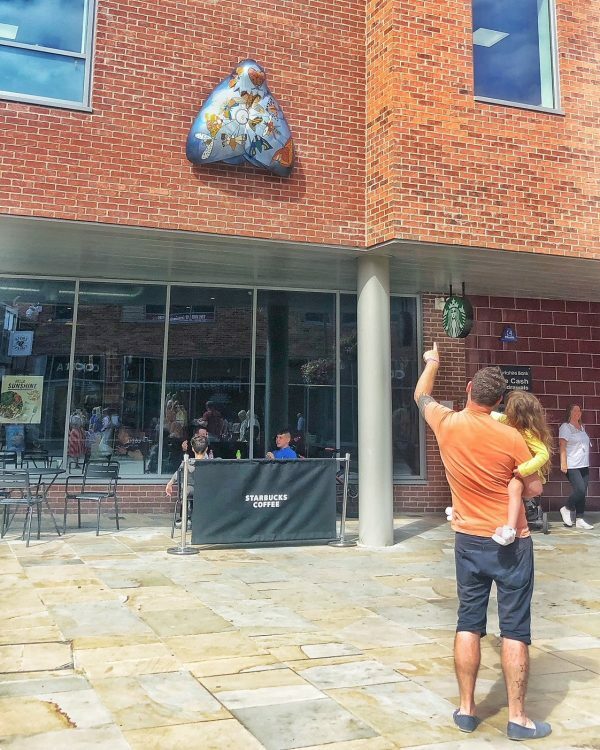 The best thing to do is to purchase and download the Beverley Spy Misson Treasure trail which you can find here that will show you all the different sights around Beverley, including the painted flies on the wall which are lovely to spot. It takes roughly two hours to complete, is around 2 miles long and circular in its route, but it guarantees you won’t miss anything. It does take you past the Minster too which fits in perfect if you wanted to have a look in there. 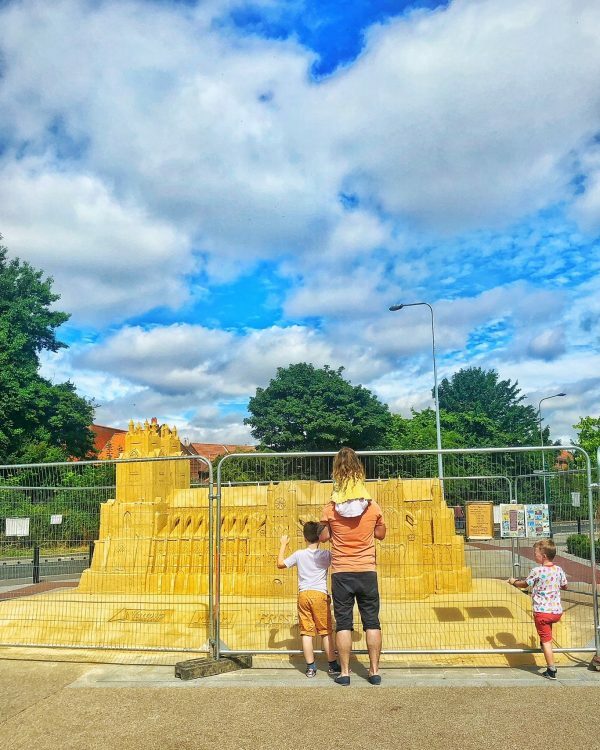 Once you’ve done your treasure trail then I would highly recommend grabbing an ice cream and lunch or heading into Hull to explore some more, perhaps even The Deep – it’s only 20 mins away and PERFECT for little ones. 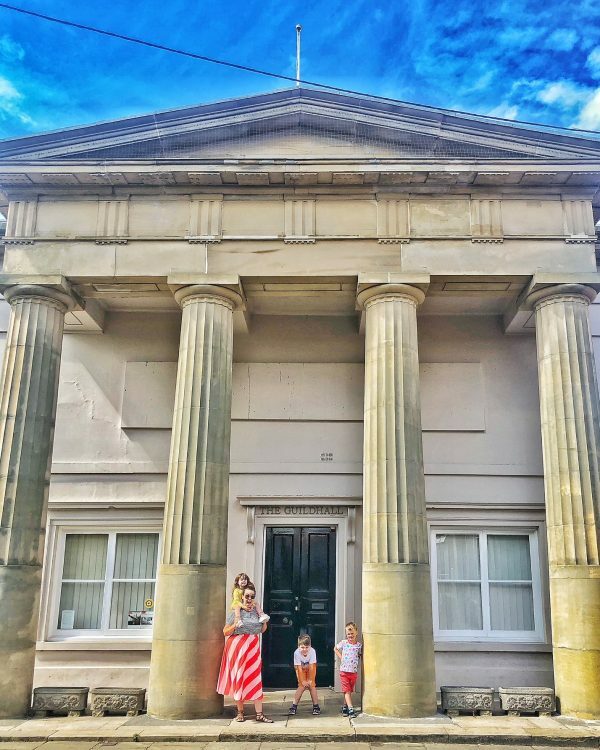 If you want to stay in Beverley then why not give the Treasury Museum a go, or perhaps you would like the new inflation centre that is opening over summer (we can’t wait!). It’s full of bouncy castles and inflatables for all ages and is set to be a huge hit with parking just above in the Flemingate centre. 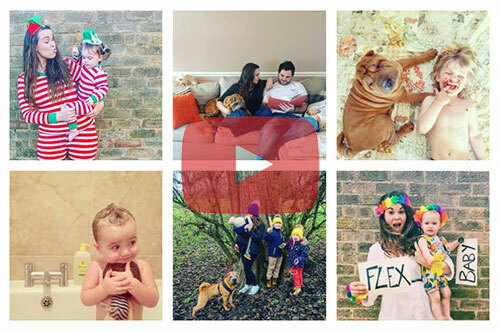 To find out more about Premier Inn’s Hidden Treasures campaign click here. Previous Post Crealy Adventure Park in Devon :: What you need to know! Next Post Chicken & Apple burgers, the perfect healthy BBQ alternative for summer! We are big Premier Inn fans too. You know you will get a good standard with them and you know there will always be one near where you are going. I’m about to book one for Blog On in September. Are you going by the way?